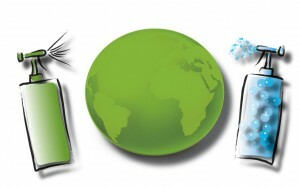 We consider ourselves as one of the pioneers in ‘green’ cleaning. Since 1997 RCS decided to ‘switch’ from conventional cleaning chemicals to more Eco friendly cleaning solutions. We work closely with our suppliers to provide us with the very best in eco friendly chemicals and we also implement CFC (Chemical Free Cleaning) into all of our operations where possible. Since February 2012 we have introduced a zero waste policy and have recently approached the Zero Waste Alliance UK to help us audit our commitment. We believe our environmental focus isn’t just designed to meet our own targets, but also to meet our clients sustainability goals. The aim of RCS is to deliver the highest standard of cleaning based on processes identified through recognised scientific methods. To ensure that we maintain our primary position in the industry we identify innovative ecological solutions by using green products, effective training practises and procedures that enable our highest standards are delivered on every occasion. RCS recognises the importance increasingly being given to eco-sensitive and environmental aspects of cleaning and restoration, commonly referred to as ‘green cleaning’. and approved codes of practice where applicable. of raw materials and energy. and contractors on environmental matters. policy and conform to the high standards it requires. • Minimise energy, water and vehicle usage.